Women’s World Win the Finale of „YouLiga Düsseldorf” – AVP e.V. 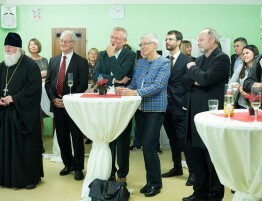 Last Sunday afternoon, a special event was hosted at Zakk. 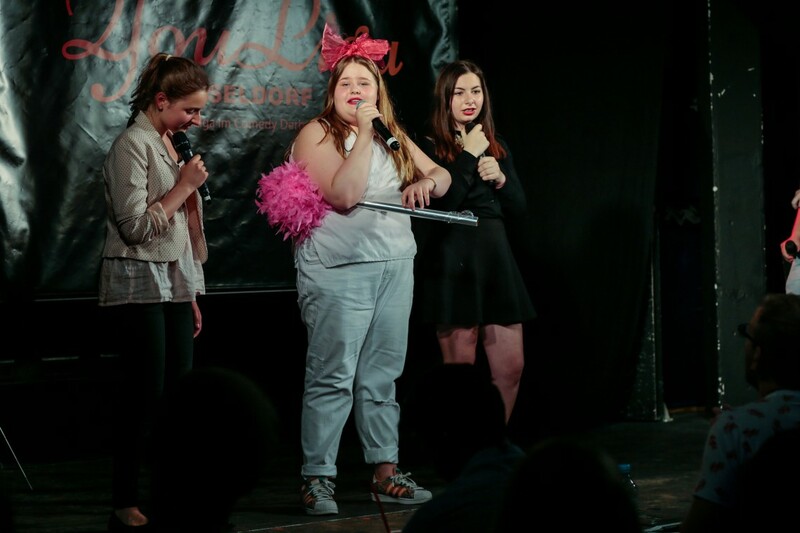 In the finale of YouLiga Düsseldorf the teams “MMA”, “Alleswisser” (know-it-all) and “Women’s World” fought over the title of the comedy derby’s first youth championship. In the comedy derby, which is a part of AVP’s youth work, the teams are challenged to communicate different elements as funnily as possible. 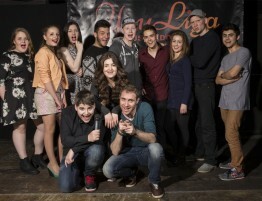 The teams competed against each other in the categories “face control”, “photography”, “solo battle” and “comedy performance” and received points that were added up in the end. The category “face control” had the function to introduce the team. During “photography” the team was shown pictures and asked to comment them as funnily as possible. In “solo battle” the team captains competed against each other to collect points for their teams. Finally, for the category “comedy performance” each team performed a short sketch using show elements such as music, dance or acting. Moderator Arthur Gobermann and project manager Vladimir Adrienko opened up the last comedy derby before the summer break and got the guests going. The atmosphere could not have been better when the teams came on stage. 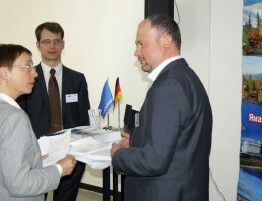 The team “MMA” from Ratingen comically introduced the city’s pros and cons and suggested it as world cultural capital, while “Alleswisser” gave convincingly quick-witted answers in the category “photography”. With a successful gross performance the three young girls of “Women’s World” were the evening’s champions. Before their performance in the last round, Lisa, Renata and team captain Lilia were two points behind “Alleswisser”, but a sketch that provided a modern interpretation of Schneewittchen (snow white) ensured the audience’s and the jury’s favor. В этом году традиционные новодние елки в нашей «Альфе» посетило около 350 ребят и родителей…. 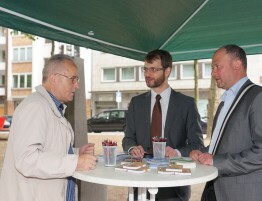 Last Saturday all organizations in Oberbilk had the opportunity to present themselves to local citizens…. 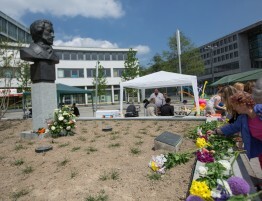 The first Eastern Europe Day, hosted at Heinrich-Heine-University, carried the title “Heinrich Heine goes East”….